We went to view this incredible project in Beaconsfield at the beginning of the year to take a look around. Undoubtably it needed some NW3 Interiors love…the lack lustre and outdated decor made the place seem cramped, dark and uninviting. 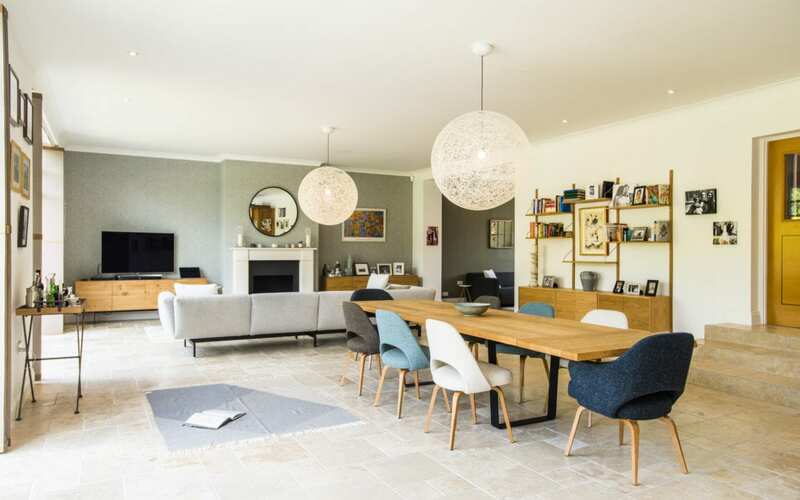 Often when we have clients with a large property they can often be overwhelmed by how to use a space or design the layout, which results in rooms not being used to their full potential or having loads of items in to compensate for the large space. Our main objective was to create a warm and inviting experience for family and guests, providing relevant materials, colour schemes, practical elements and a new layout to accommodate needs and wants of the client. Take a look for yourself and see the before and after photos of our clients new home.